With Christmas right around the corner, this is a busy time for church staff members. 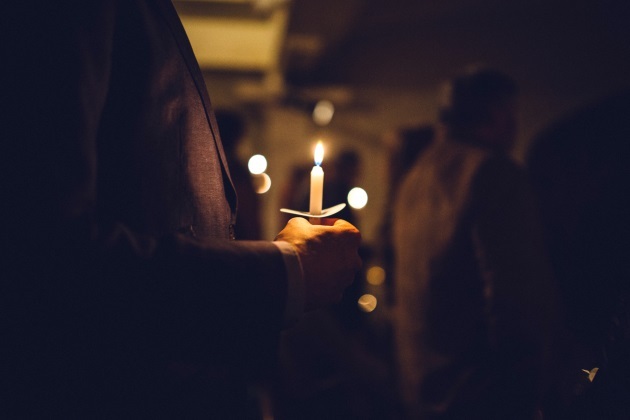 Candlelight services, stage décor, volunteers, special programs, and more are all part of the hustle and bustle of the season. If you’re trying to fix last-minute issues, fill those remaining volunteer spots, and figure out why your carefully designed stage décor keeps falling over, it’s easy to get overwhelmed. When that happens, you can’t think straight and will likely forget something important or miss the easiest solution to a problem. Instead of letting those issues overwhelm you, pause. Take a few deep breaths, pray for wisdom, and think. Write down all the stuff floating around in your head — whether it’s directly related to planning Christmas services or trying to figure out who’ll watch your 5-year-old tomorrow. Get it all down on paper, then review the list. Decide if there’s anything you can delegate to someone else and make that happen ASAP. Prioritize the rest of the list and start working your way down, crossing off items as you resolve them. As decorations around the church are completed and you’re all setup for Christmas services, do a walkthrough. Start in the church parking lot and pretend you’re a first-time guest. What’s the most obvious entrance to the church building from the parking lot? As I walk in this door, is it easy to tell where to check in our children? Where do we go for the service? Walk into the main sanctuary and stop right inside the door. What impression do you get of the church? What emotions do you feel? Consider what the décor and stage setup communicates to guests. You might make a few minor adjustments based on this walkthrough. The point here is to stop and look at the setup comprehensively. It’s easy to get so into the details that we lose sight of the big picture. You may realize the stage piece that just won’t cooperate really doesn’t matter anyway and isn’t worth the hassle. That’s fine, too. Keep a notebook with you and jot down quick notes regarding things to improve on or change for next year. It’s easy to forget these afterward, which is frustrating next year when the same issues pop up all over again. This may require coordination with the rest of the staff, but it’s important for your family to have you all to themselves for one service. Sit with them and enjoy the moment with your family. If this isn’t possible, consider creating your own family tradition at home or even go to a service at another church (maybe one in your community has a Saturday night service at your church doesn’t). Preparing for Christmas can be a huge endeavor. Use these tips to help yourself and your team plan a great Christmas service without wearing yourselves out.